Elite HVAC Services LLC is proud to serve the Hodgenville community! About Hodgenville, KY - Happy to be your hometown Heating & Air Conditioning Contractor! 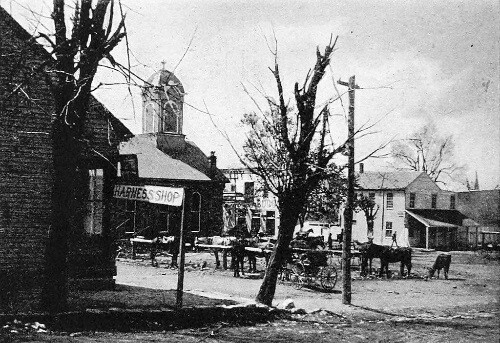 Downtown Hodgenville has changed gradually over time but the changes have been huge. When we look back on the town when it was nothing but dirt streets of its modest early development to its modern beauty and efficiency. The town is beautiful any time of year and can be enjoyed no matter what the temperatures or forecasts. This is part of what makes it such a fun place to live. In the center of the town there is a sitting area and two statues of Abraham Lincoln. One portrays Abraham Lincoln as adolescent alongside a statue that portrays him as he looked when he served as the country’s president. Downtown, you will find an assortment of businesses including antique and specialty shops, eateries, a museum and an occasional horse and carriage trip around the city center. The holidays are always special downtown. Decorations and music, fun and friends. Sometimes, the town is even lucky enough to celebrate a white Christmas. It is picturesque in many ways. The community spirit in the community is palpable from the moment you step foot into the city limits. The City of Hodgenville has numerous municipal associations for our citizens to enjoy and partake in and they are always looking for more people to join and become active in local charities, business initiatives, environmental activities, etc. the city also runs many sports leagues and has beautiful and picturesque parks that can be enjoyed rain or shine, summer or winter.